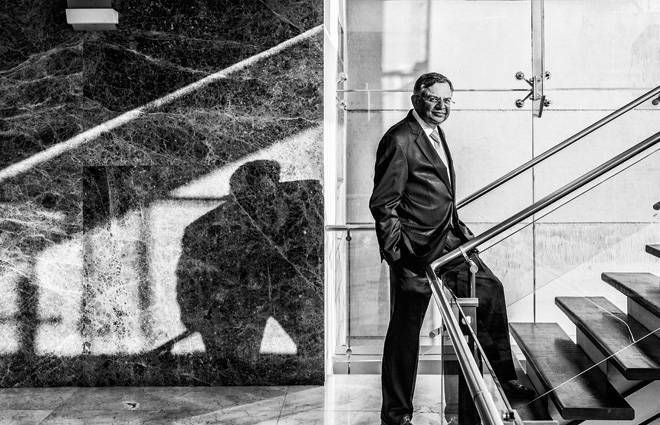 Natarajan Chandrasekaran, chairman, Tata Sons would have hoped this year's annual general meeting of India's largest automobile manufacturer, Tata Motors, would pass off peacefully. Last year, Chandra, as he is better known, had to face the ire of the automaker's shareholders who had been denied dividend due to the company's deteriorating performance in the domestic market. 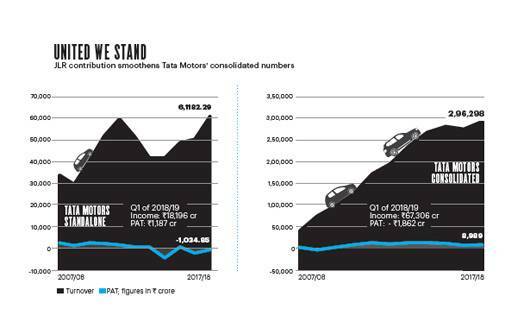 When Tata Motors finally closed its accounts for 2017/18, it had indeed done better - consolidated revenues and profits were up, and the domestic business was showing signs of revival with reduced losses. But just three days before the AGM was scheduled, the investors' mood had soured again. On July 31, Tata Motors announced the results for Q1 of 2018/19 - and they were horrendous. It reported a consolidated loss of Rs1,863 crore. Jaguar Land Rover, or JLR, recorded a loss of 210 million pounds (approximately Rs1,890 crore), wiping off the meagre gains from the improved performance of the domestic business (see United We Stand). JLR is not just another company for the Tata group. Till three years ago, JLR alone contriuted around 50 per cent of the groups total proftits. (JLR and TCS together contributed 90 per cent of Tata group's profits till 2015/16.After that, JLRs contribuion started falling). JLR contributes more than 77 per cent of the consolidated revenues of Tata Motors and till last year, all of its profits. In 2008, Ratan Tata had paid $2.3 billion (then roughly Rs9,200 crore) to buy the ailing luxury car maker from Ford Motors. It was the group's second biggest buy after Corus. JLR had turned around by fiscal 2010, and it was, along with TCS, holding up Tata group revenues and profits at a time when the other companies in the group were posting either average results or making losses. In fact, so good was the JLR performance that after the unceremonious exit of Cyrus Mistry as chairman of Tata Sons in 2016, one potential new chairman of Tata Sons was Ralf Speth, the head of JLR. "The first quarter results reflected the impact of the duty reduction in China and planned stock reduction in the quarter. We continue to be impacted negatively by uncertainty over diesel in Europe, along with Brexit and additional diesel taxes in UK," says Ralf Speth, the 62-year-old top boss at JLR. "We expect sales and financial results to improve over the remainder of the financial year driven by continued ramp-up of new models, most recently the electric Jaguar I Pace." That remains to be seen. JLR's slump is not sudden - it has shown signs of slowdown over the past three years. It is over-dependent on China (nearly 25 per cent of sales), and has crucial gaps in its portfolio. Both Speth and Chandra are hoping JLR operations turn around quickly because traditional auto makers are going through an upheaval due to the advent of electric vehicles and the ambitions of Tesla. They need lots of cash for developing EVs, and also for other innovations like autonomous cars, etc. Over the past eight years, JLR has spent 22 billion pounds, and plans to spend another 13.5 billion over the next three years. As he was probably anticipating, several shareholders asked Chandra to divest JLR. "It is not fair to individual businesses to get shackled because of one unit's performance. We should, therefore, look at a demerger of the business," said a shareholder. Another asked the company to "do away with JLR if there are no returns", adding that it was dragging down Tata Motors with no sign of revival. Chandra fended off the cries for selling JLR. "We have given a profitable target for JLR. Though the first quarter is loss-making, on a yearly basis, we are sticking to our plan in terms of profitability. The performance will get better from here and we'll not suffer on a yearly basis. But, there are challenges which we need to work on," he said. The Coventry headquarters of JLR would have felt the reverberations from South Mumbai. The shareholders' rant may have some justification but in the decade since Ratan Tata acquired JLR, it has been a constant pillar of strength for the group. Since 2014/15, Tata Motors' India operations have been in the red, notching up a cumulative loss of Rs8,000 crore in four years. Fortunately, JLR was firing on all cylinders, over turning this loss on a consolidated basis into a net profit of more than Rs40,000 crore. As the architect of this success story, Speth gained the reputation of a rock star in the Tata group. While Tata Motors has always given full autonomy to JLR, there has been a tendency to lean on it more for support. In 2017/18, it asked JLR to pay 20 per cent of its profit as dividend against a fixed sum earlier; this resulted in doubling of the pay-out to the parent firm. Others may have chosen to ignore this; the company's top management has not. "For the past many years, JLR has been profitable, while domestic operations have not been profitable. Attempts are on to make both profitable. We think we are on our way. Hopefully, we will do it this year itself," Chandra said at the AGM. However, JLR was not always a cash cow. In 2008, it was a distress sale for Ford-Tata acquired it for Rs9,200 crore at a near 50 per cent discount to what Ford had paid for the two brands in the 1990s. The brands were a drag on Ford's balance sheet and at least in the first year it was so for Tata too. In the first 10 months of 2008/09 that JLR became part of Tata Motors, its sales declined 32 per cent and it reported a net loss of 402 million pounds. On a consolidated basis, Tata Motors posted a net loss of Rs2,505.25 crore in 2008/09, its worst fiscal performance till date. Cash strapped and straddled with an ageing product line-up, it needed an overhaul. Not many thought Tata Motors had the credentials to do so. Tata invested another 1 billion pounds on the two brands over and above the acquisition cost. In those crucial years, JLR spent 14 per cent of annual revenues towards R&D, outpacing the industry average of 5 per cent. The dividend came in the next few years as blockbuster products like the Jaguar F type and Range Rover Evoque, besides the refreshed versions of the existing portfolio ,were launched. The turnaround was quick. "It is easy for me to say without Mr. Tata's trust in us, we would not have been around. Under his stewardship, our sales more than trebled from 1,60,000 cars in 2008 to 6,14,309 in 2017/18. We have grown from eight vehicle nameplates to 13 highly relevant, desirable cars at the forefront of technology," says Speth. "A key to this transformation is investment. We invested over 22 billion pounds over the last eight years and will look to the future and adapt to what lies ahead. In that time our revenue increased five-fold, from 5 billion pounds in FY 2009 to 25.8 billion pounds in FY 2018 and profit before tax has transformed from a loss in FY 2009 to a positive 1.5 billion pounds in FY 2018," he says. The bull run has ended. A mix of global uncertainties, led by Brexit in 2016, the 2015 diesel gate scandal that refuses to die and heightened tensions over a full-blown trade war across major economies, have taken its toll on JLR's growth story. In 2017/18, its global retail sales grew only 1.7 per cent, a far cry from the high double digit growth in previous years. It grew 15.8 per cent in 2016/17. In the January-March quarter, sales actually declined 3.7 per cent, the first time in eight quarters. As a result, it made less money than before, with profits sliding 46 per cent over the previous year. 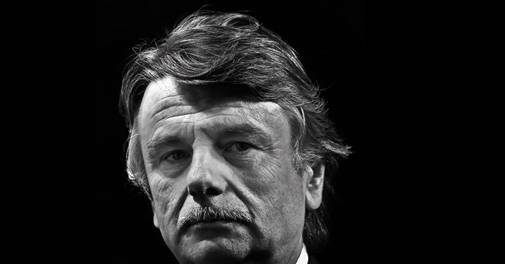 The biggest and most immediate threat that JLR is staring at now is Brexit. The UK government has been in talks with the European Union, or EU, on terms of the disentanglement, which will decide at what rate goods produced in the UK will be taxed in Europe and vice versa. This will have far reaching consequences for JLR. Its global standing notwithstanding, over 80 per cent of the two brands' cars sold worldwide are produced in the UK. Anticiapating the challenges, JLR is making investments towards reducing its dependence on UK. It has already sunk in 1 billion-1.5 billion pounds for its new 150,000 unit per annum factory in Slovakia that will be operational by the end of this year. It also plans to move at least four models to factories outside the UK like China and Austria in addition to Slovakia. Yet, for the time being, this high concentration exposes it to greater risk in times of increasingly de-globalised and high tariff atmosphere. At the same time, JLR imports many components from Europe. If it is a hard Brexit and the EU levies high tariffs on imports from the UK, JLR will be forced to move its production out of Britain to stay competitive. This could be painful. The issue is critical and even Speth, who is otherwise averse to talking on matters of the state, has been vocal about spelling out the financial implications for his company. "We, and our partners in the supply chain, face an unpredictable future if Brexit negotiations do not maintain free and frictionless trade with the EU and unrestricted access to the single market," he said in July. "We urgently need greater certainty to continue to invest heavily in the UK and safeguard our suppliers, customers and 40,000 Britain-based employees. A bad Brexit deal would cost JLR more than 1.2 billion pounds (Rs10,800 crore) in profit each year. As a result, we have to adjust our spending profile; we spent around 50 billion pounds in the UK in the past five years - with plans for a further 80 billion pounds in the next five. This would be in jeopardy should we be faced with the wrong outcome." "German companies are more diversified as they have plants across the world. So, to an extent, they are insulated from trade war across continents. JLR is not," says Abhimanyu Sofat, Head of Research, India Infoline Group. In 2015, an estimated 57 per cent of engines that power JLR's vehicles are diesel compared to 37 per cent for Mercedes Benz and 39 per cent for BMW. Post the 2015 diesel-gate scandal, sale of diesel cars has been hit in Europe, where its share fell from 50 per cent to 44.8 per cent in 2017. It continues to fall every quarter. 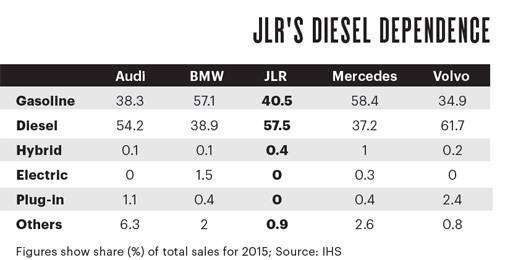 JLR's higher share in diesel-87 per cent in UK and the EU means this trend will continue to pinch it more. In the near and medium term, it has plans to bring down its dependence on diesel to 30 per cent while contribution of plug-in hybrids and battery electric vehicles will go up from negligible right now to 20 per cent in the same period. For this, it has lined up 22 per cent or nearly 3 billion pounds of its overall investment corpus of 13.5 billion pounds over the next three years. JLR had a negative operating margin of 3.2 per cent and negative cash flow of 1.7 billion pounds in the first quarter but is in a Catch-22 situation. For its own sustenance, it needs to keep investing in technology, but the immediate concern is to bolster investor confidence by going austere, or at least appearing to do so. It is sticking to its stated target of 4-7 per cent profit margin between 2018/19 and 2020/21. The poor results in the quarter may be a one off due to tepid demand in China, JLR's single largest market, where government lowered import duties on cars from 25 per cent to 15 per cent effective July 1. That resulted in consumers postponing purchases. But there are more fundamental and long term challenges in the offing. The road ahead will not be easy. While Tata Motors' consolidated balance sheet does not make a good read, things would have been worse had its Indian operations not turned around just as JLR tipped over. The undisputed leader in commercial vehicles in India and among the top five passenger vehicle manufacturers in India, Tata Motors witnessed a dramatic erosion in both segments between 2012 and 2017. In commercial vehicles, or CVs, the backbone of the company's presence in the market and a segment that accounts for 80 per cent of its standalone revenues, its share slid from near 60 per cent in 2012 to just 44.4 per cent in 2016/17. In passenger vehicles, or PVs, its share slipped from 12.4 per cent to 5.2 per cent during the same period. "It has been a rollercoaster ride with many challenges and accomplishments. Internally, we were struggling with lack of new products, weak market activation, complex organisation structure and dampened financials. 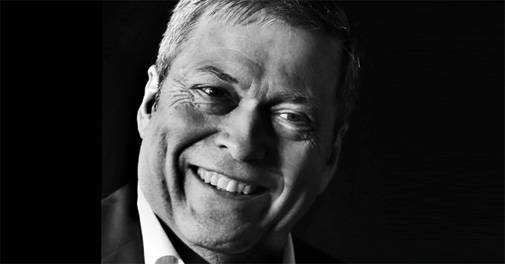 It triggered the need for business transformation for longer term sustainability of the company," says Guenter Butschek, CEO and MD, Tata Motors. Squeezed from all ends-profits at the CV business declined while losses in the PV business went up -in 2016/17, the company incurred a loss of Rs2,480 crore on a revenue of Rs50,079 crore in its India business. To arrest the slide, a turnaround plan was prepared that included vigorous cost cutting measures while introducing new products and powertrains in both CVs and PVs to claw back market share. The results have begun to show. "We improved organisational effectiveness to bring speed, simplicity and agility by reducing management levels from 14 to five and creating more 'customer facing' roles," says Butschek. "Externally, the market became hostile in 2016, with pressure from regulatory environment, demonetisation, uncertainty surrounding diesel gate and GST. This triggered the need to shift gears from transformation to turnaround which called for a 'single minded focus on execution' on the identified angles of attack." In commercial vehicles, a host of products were launched beginning with the 2017 festive season. In passenger vehicles, where the company was already working on new-age products and the success of Tiago hatchback was visible, development cycles were shortened. Sales grew 22 per cent in 2017/18 and Tata had a 6.4 per cent market share. In the first quarter of this fiscal, passenger vehicle sales grew 52 per cent as against an industry average of 19.8 per cent, leading to market share rising to 6.8 per cent. 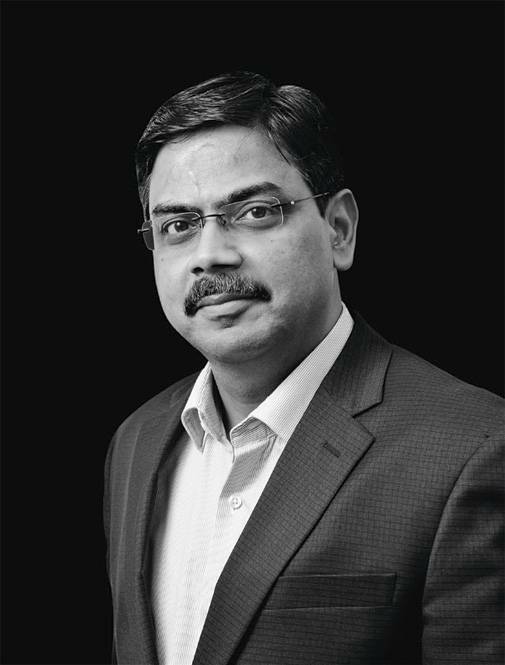 "The focus is on passenger vehicles to win sustainably, to fill product gaps, while tapping white spaces and market opportunities that will emerge in the coming future," says Mayank Pareek, President, PV unit. "We want to outgrow the market in multiples. We currently cover 70 per cent of the market. By 2020, we will add 10-12 brands that will enable us to cover 90 per cent of the market." In the midst of it all, purse strings were tightened to improve bottom line. This included taking some bold measures like an impairment of Rs1,641.38 crore in the last quarter of 2017/18 for future projects that the company decided to junk. This delayed the turnaround story a bit but according to its CFO, P.B. Balaji, it strengthened the company financially. "Some were exceptional because these projects were not going to be taken forward at all, some were asset write-offs that had to be taken because these are restructuring projects that we have undertaken to save cash," says Balaji. "We have introduced a new capitalisation gateway in our product approval process on affordability, which means even if there's a business case that is valid, we'll take it forward only if it meets the affordability gateway," he adds. This helped Tata Motors achieve a turnaround in the first quarter of this fiscal. The pressure is now off the shoulders of Butschek only to be transferred to his UK compatriot. In this calendar year, the stock of Tata Motors has crashed 40 per cent, making it among the worst performing automotive stocks globally. This apathy stems from two reasons-lack of free cash flow from JLR - it had negative cash flow of Rs9,000 crore (1 billion pounds) in 2017/18 - and inability to pay a dividend to shareholders for the last two financial years. "JLR has been investing a lot in the last three-four years, so we have been expecting some free cash flow generation. However, whatever new models that are coming out, the growth in sales is not enough to withstand the overall macro uncertainties. As a result, they have to continue investing in R&D," says Sofat of India Infoline. "It is a British company. We tend to think of it as an Indian firm but the decision-making there is very British." "The management in India is not in charge at JLR and as an investor here, given the performance of Tata Motors depends on JLR, I am worried. Their capex plans are big but don't see commensurate growth in sales or improvement in margins. So something is amiss. Yet nobody is red flagging it and the capex plans continue as it were," adds Sofat. 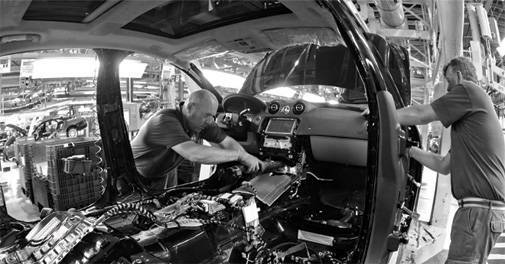 As a luxury car maker operating at the cutting edge of technology, JLR cannot shy away from investments if it has to stay abreast in a market witnessing disruption from electrification, autonomous drivetrains and connected cars. In 2017/18, JLR invested Rs37,800 crore (4.2 billion pounds) towards products and technologies and plans to invest Rs40,500 crore (4.5 billion pounds) in the current fiscal. Over the next three years, the company has said it will invest around Rs120,000 crore (13.5 billion pounds)-51 per cent on products, 27 per cent on building fresh capacity, 13 per cent on electric cars and 9 per cent on powertrain, that will see it launch four new nameplates by 2023/24. The investments would also usher in a flurry of new or refreshed products in the next few years. In the current fiscal alone, it intends to undertake 19 product actions that will include upgrades or variants of existing models or bringing in new version of older models. Such product actions will increase to 38 between FY 20 and FY 21 and a further 42 between FY22 and FY24. Despite the financial duress and talk of cost reduction, these capex plans have not been revised yet. "I believe we will see more change in the next five years than in the past 50, but we are certainly up for it and shaping our destiny by continuing our over-proportional investment in line with our Autonomous, Connected, Electric and Shared strategy," says Speth. These big ticket investments carry risks as nobody knows when the demand for electric vehicles will take off. While that apprehension applies to every car maker, JLR's main rivals, the three German brands-Mercedes Benz, BMW and Audi -are considered better equipped thanks to deeper pockets and stronger balance sheets. "BMW has done the most in the electric vehicle space with their I series in the luxury car market. They are in the same bracket as Tesla, Renault Nissan and GM as far as outright sales and number of products on offer is concerned," says Anup Bandivadekar, Program Director, International Council on Clean Transportation. At various levels, it is essential for JLR to rediscover its magic touch. Its acquisition was the crowning glory of Ratan Tata's last few years as chairman when he went in for a spate of global takeovers. JLR's fairy-tale turnaround helped mask the disaster of the other bigger acquisition of Corus by Tata Steel. A prolonged slump will raise decibel levels of detractors and possibly tar the legacy. Further, as one of the top three large profit-making companies in the Tata Group, it is detrimental to the group's fortunes for JLR and Tata Motors to remain under duress for long. In its best year in 2014/15, when it had logged a profit of Rs18,948 crore, JLR accounted for over half of Tata Group's overall profits. As its profitability went down thereafter, its contribution also dipped and the group became heavily reliant on TCS, country's biggest software company. The need for broad-basing the finances of the group so that more companies become self-reliant and contribute to the bottom line of the group has been felt for long. Should JLR and with it Tata Motors also fall by the wayside, the structure would be further imbalanced. "It would be a stretch to say Ratan Tata's legacy hangs on this. JLR has done well for 10 years, so the merits of the acquisition have been established," says Ashim Sharma, Partner and Group Head, Nomura Research Institute. "It is unfortunate that a company that has done so well for so long is facing challenges that are not of its own making. At the group level it is important for Tata Motors to stay strong on its feet. That will not reduce the dependence on TCS but at least ensure there is no addition to that." At the company's annual accounts conference in May, when JLR was still profitable while Tata Motors India was not, a mildly irritated Speth, while responding to persistent questions on JLR's falling profitability, remarked that his company did not need a turnaround. It was nothing more than a light hearted dig at his parent firm. But today, ironically, he finds himself in the same place as Butschek was a year ago. It is JLR that needs a turnaround now.